It was also revealed was that six in ten get agitated by a sticker for a rival sports team or in support of a cause or organisation. 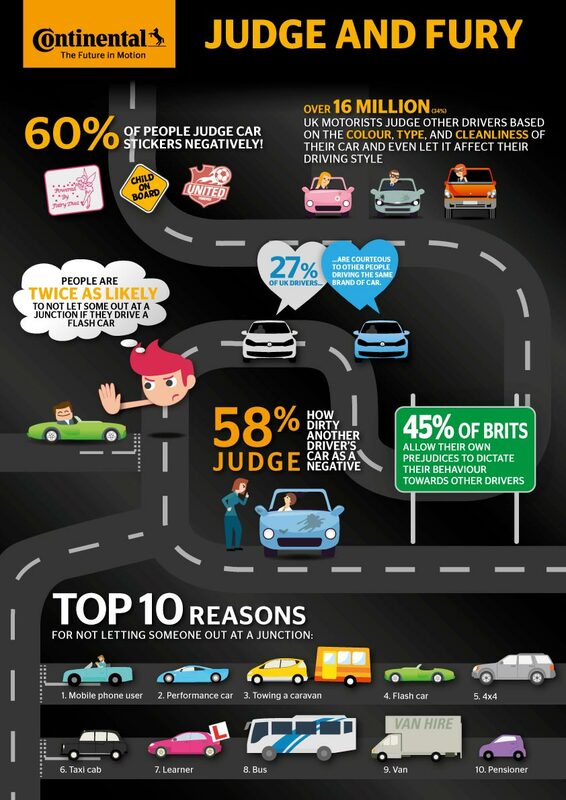 Mark Griffiths, spokesman for Continental Tyres, said: “It is alarming that 34 per cent of drivers will change their driving style based on a prejudice about something as unimportant as how clean a vehicle is. 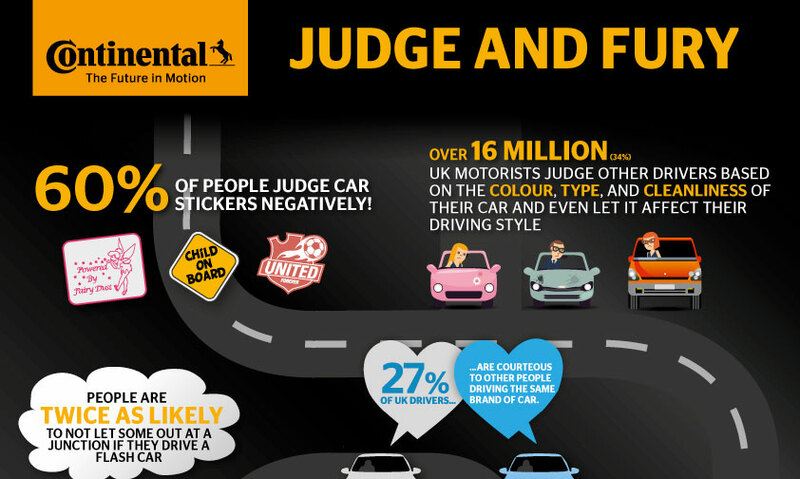 Mark Griffiths at Continental Tyres added: “We might form opinions of people based on issues like appearance, though for that to lead to more aggressive driving is dangerous. We think road users must be courteous to others at all times.